The court imposed damages of Rs 100 crore or 10 per cent of the project cost whichever is more, as it modified the 2016 order of the National Green Tribunal on the quantum of damages while retaining the rest. 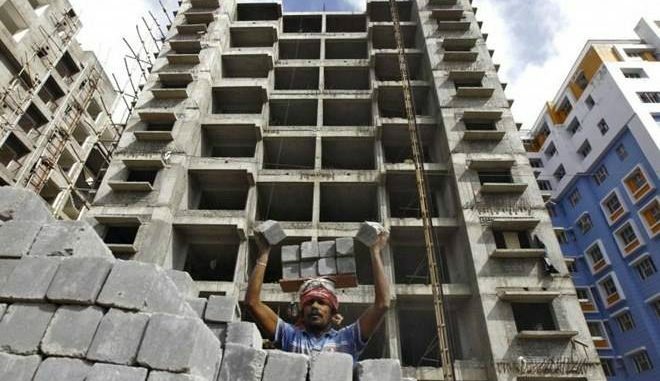 The Supreme Court has fined a builder 100 crore for undertaking construction of a project in Pune in violation of the environment clearance given to it. The court imposed damages of Rs 100 crore or 10 per cent of the project cost whichever is more, as it modified the 2016 order of the National Green Tribunal on the quantum of damages while retaining the rest. The NGT by its September 27, 2016 order had said that the project developer will pay environment compensation cost of Rs 100 crore or 5 per cent of the total cost of project to be assessed by SEAC whichever is less. The project is located in Vadgaon in Pune. Upholding the NGT order of September 27, 2016 modifying the quantum of compensation, the top court bench of Justice Madan B. Lokur and Justice Deepak Gupta by their judgment reiterated the green tribunal’s order imposing a fine of five lakhs on the Pune Municipal Corporation. “We impose damages of Rs 100 crore or 10 per cent of the project cost, whichever is higher on the project proponent and in addition thereto, project proponent will pay Rs five crore as levied by the NGT in its order dated September 27, 2016,” said Justice Deepak Gupta in the judgment pronounced on Friday. Reiterating the NGT order, the top court directed Maharashtra Chief Secretary to look into the conduct of the official holding the post of Principal Secretary (Environment) to the State government on September 27, 2016. Upholding the NGT order that the construction raised by the project proponent – Goel Ganga Developers India Pvt. Ltd – was in violation of the environmental clearance granted to it on April 4, 2008, Justice Gupta pronouncing the judgment said that the Chief Secretary would inquire into the conduct of the Principal Secretary (environment) who was in position on September 27, 2016 and submit the report within three months. The court directed the listing of the matter on October 22 for issuing appropriate directions as to how the amount of damages is to be utilized.